I completely agree with the core thesis of this post – 0-3 to South Africa is – was – and remains the core issue. Beating a a reasonable Wales side, sub-standard England, Italy and a crap French midfield need to be off-set with some pretty average and unconvincing moments in the first 3 matches. The Boks are the world champs so they are who we need to benchmark against. 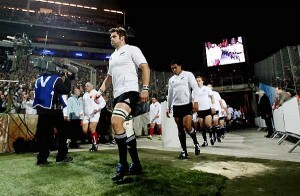 Basically, the performance at the weekend merely confirmed for opponents that they shouldn’t opt for an open running game when they play the ABs (especially if you’re not going to tackle in the midfield) and rest assured none of them will come RWC 2011 (and the important games in between). Good luck with your blog, cheers!